This isn’t a bad thing – don’t worry. eClincher posts content like this all the time, and it’s good for you to remain educated on how to use social media in the most effective ways possible. That’s what our service is here for, after all. These pieces of advice fall into a category called “industry best practices.” If you don’t know what that means, the answer is really simple. Say you have a small business and you’re trying to figure out how to do everything right. You go online and accumulate all of the best possible steps to form a successful business and execute them. The reason that these methods are considered so infallible is because they’re the most basic advice that can be given that works for almost everyone. This kind of advice is a great starting point simply because it is so simple and cookie-cutter. It’s easy to implement and the logic behind why it works is obvious – like how you should post on social media during peak hours. Why? Everyone will see it. That’s an industry best practice. Unfortunately, there is a downside to this kind of advice. But why? If it’s truly an “industry best practice,” how is there a negative aspect to it? Think about this: does every business succeed? No. Even businesses that follow every industry best practice out there will fail on occasion. The reasoning? Your business is unique and the advice is generic. Every business has something about it that makes it special – or at least it should be unique in some way if it wants to succeed. It’s easy for blog writers to give out generic advice to a blanket smattering of businesses, and again, the advice offered in industry best practice pieces isn’t bad. It’s just that it can sometimes be hard and ill-advised to match your actions exactly to the advice given. 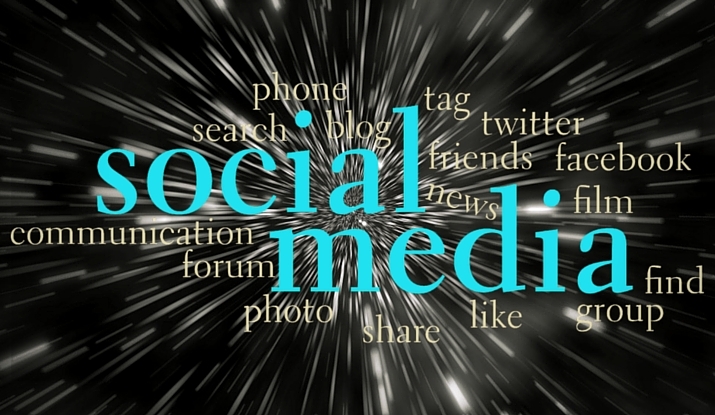 Ultimately, your social media strategies should be unique as well. If every business had the exact same strategy based on industry best practice advice, we’d all be in the same place. No losers, but also no winners. When all businesses are the same, there’s no chance for success, which is why you should start breaking out of that mold. The entire point of social media is to show off who you are. In a business context the meaning is essentially the same. Whether you purposefully gave your business a personality or not, each business out there has a unique tone and image, and this is something you need to use to your advantage. Social media is a very human tool, which contrasts greatly with how robotic business accounts act when they’re being used on it. There’s a lot of automation going on behind the scenes – some of which is good. Automation makes your life easier, like being able to schedule content posting. But when customers follow a business account and get an automated follow message with no substance, coupled with lifeless scheduled content like clockwork, they get what’s going on. You aren’t interested in actually engaging, you’re just going through the motions. Many best practice articles don’t go into how to actually make yourself seem human, simply because that can be very different advice based on your business type and tone. While the information is valuable as a starting point, you have to use your human brain to ask yourself questions about it. How can I better tailor this advice to match my company? How can this be used to benefit my unique business voice? You definitely need to understand exactly who your audience is when you’re talking about digital marketing. Depending on your brand and business type, your question answers itself. You don’t find many skate shops marketing to baby boomers, or many adult diaper companies targeting the millennial crowd. You should also decide on exactly what gender you’re targeting, but for some companies it isn’t a must. Regardless, start asking yourself questions about who you actually want to connect with via your social media accounts. While you’ve probably heard this advice on a best practices article, they aren’t exactly good at telling your specific business how to do exactly that, simply because it is such a unique part of social strategy. Also, sometimes these rules are made to be broken. If you follow Twitters like DiGiorno Pizza or Denny’s, you’ll see that they’re breaking a lot of the standard rules for social media, but they’re the biggest out there when it comes to customer engagement. Don’t get discouraged because social media isn’t something with a definite blueprint. The solution to the problem is this – examine best industry practice advice and figure out how to tailor it to your business. Also, always test your strategies. If the best industry practices advice doesn’t work for you, nix it and find a method that does!